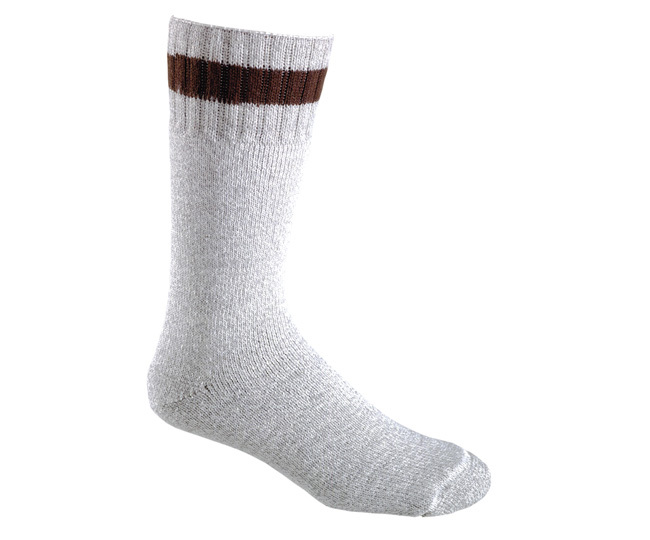 HEAVYWEIGHT HOLLOFIL OUTDOOR SOCKS- Hollofil insulation is used in sleeping bags, blankets and any place where warmth is critical. Fox River has now made Hollofil available in the form of an outdoor sock. This rich blended fabric is durable, breathable, stretchy, warm, super soft and extremely comfortable. Hollofil traps your natural body heat inside the fabric forming a layer of warmth around your feet. This sock is also designed to be softer and less itchy than a typical wool sock.